Kiev sits on the banks of the wide Dnieper River, which originates in northern Russia and flows out to the Black Sea. The downtown core and the old city is on the hilly right bank where Kiev started. The Golden Gate (Zoloti Vorota) is one of three gateways built by King Jaroslav in the 11th century. The wall was destroyed by the Mongol invasion, and excavated in 1932. The Golden Gate is a UNESCO heritage site, about a kilometre from St. Sophia's Cathedral, another UNESCO site. Jaroslav, the national hero, is the Kievan Grand Prince, who united the principalities of Novgorod and Kievan Rus in the 10th century. He married the daughter of a Swedish king which was not unusual since the Scandinavians were very much part of Kiev's early history. Vikings arrived in Kiev in the early 9th century, established a trading post, settled and married into the local Slavic gentry. 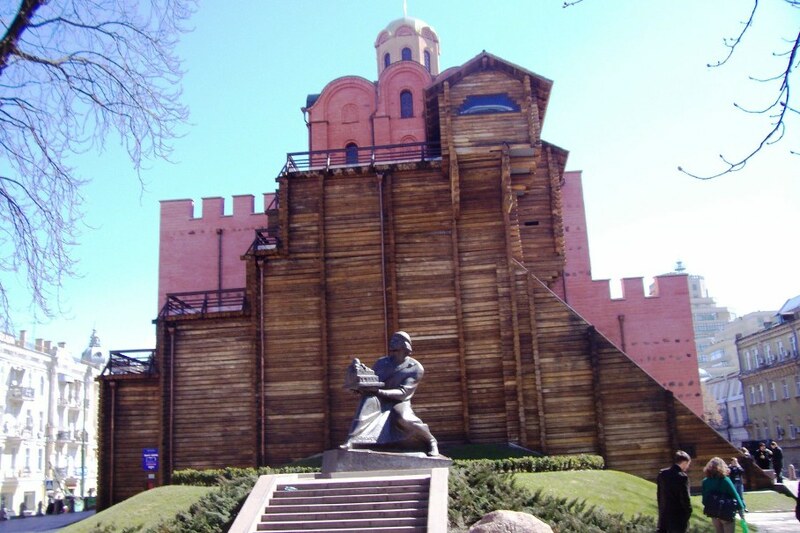 The place was called Kievan Rus, which covered Ukraine, Northern Russia and Belarus. Rus means red in the Norse language and Kievan Rus was the predecessor to Russia. For a more detailed post on my three weeks in Kiev, please check the link to, Trip Advisor Kiev.